Apple’s AirPower is nowhere to be seen, but the next best thing exists from our friends over at CHOETECH. And it so happens to be discounted today through an exclusive discount code for our readers. Rumor has it that the Apple AirPower wireless charging mat will be released soon as the hardware has finally gone into production. But of course, since it is being made by Apple therefore we can expect an unsurprisingly high price point as well. If you’re all about not breaking your wallet, then we have a product for you which will leave you in awe. 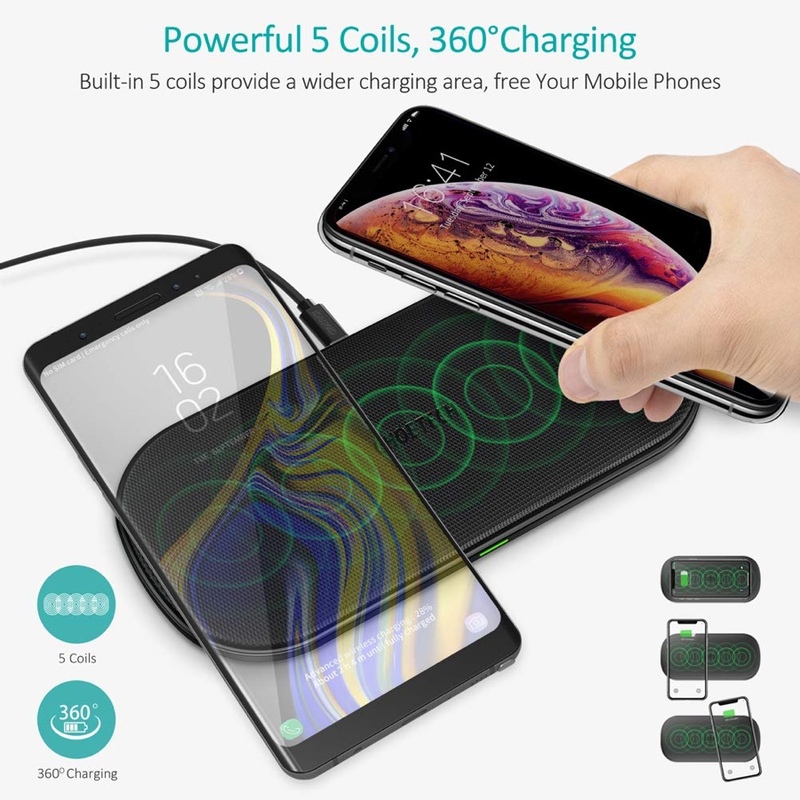 Dubbed the T535, it’s a Qi wireless charger from CHOETECH that has 5 coils built right in to transfer energy to a Qi wireless compatible phone. 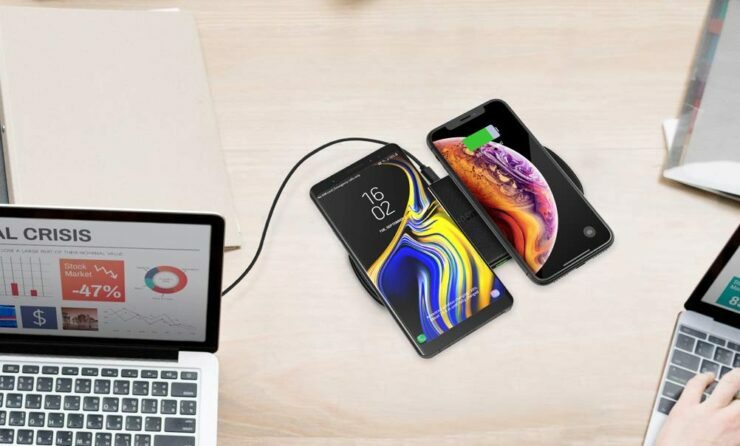 What this means is that you have a larger surface area in terms of coils, allowing you to place your phone in the laziest way possible on the charging mat and it will still juice up. But wait, there’s more. Since there are 5 coils in here, therefore you can charge two phones at the same time. Those phones can either be iPhones, Android devices or a combination of both. What’s more exciting is that this wireless charger features a USB-C port and ships with a cable and 18W Quick Charge adapter right in the box so you’ll walk out working the moment you get this beast. Of course, this charger commands a premium price tag of $52.99. But given that you are reading this, therefore you can expect that price to drop to a far more reasonable $39.99 after applying our special discount code. So, what are you waiting for? Make use of this offer and start charging two phones at the same time on the very same charging mat.